Vehicle lockouts don’t have to be a hassle. Simply call us – the most reliable and honest auto locksmith in Boston. You’d be hard-pressed to find a more dependable service on the road today. Our technicians are incredibly efficient and will get to you with a speedy 20 minute response for all your auto locksmith needs. With our over a decade in business, we have the experience to deal with vehicles of all makes and models. Within minutes of a lockout, our fully loaded van is on the scene equipped to unlock your door and copy vehicle key. We are your car locksmith Boston. Call us now! Bursky Locksmith - Auto Locksmith Services in Boston, MA? Bursky Locksmith – Auto Locksmith is the only choice for auto locksmith services in Boston because no one beats our range of assistance, our lightning-fast response time and our dedication to top-tier customer service. Locked out of your vehicle? Don’t worry. We are your auto locksmith Boston. Even if you aren’t locked out, we are an expert and timely key maker. We can make those replacement car keys you need in a hurry or create copies to keep in a safe spot for emergencies. Whether it’s an ignition key or a programmed transponder key, we are the best name in town for auto locksmith service. Need a New Transponder Key? Call the Expert Key Maker. Most vehicles manufactured after 1995 have what’s called a transponder key. Unlike an old school mechanical key, a transponder key is programmed to the vehicle as an extra form of theft protection. We are the Boston auto locksmith to call when you need one of these in a hurry. We understand you have places to be and you need your car to get there. Let us provide our services as an expert key maker to get you moving again. We can even program a new key fob for you in the event yours is lost, stolen or damaged. We are the car locksmith Boston, MA company that can handle it all! Replacement car keys in a hurry are our specialty. Look no further for a Boston locksmith to provide quick copy vehicle key service for you. Replacement car keys are always a good idea, even if it’s not an emergency. Having multiple copies in safe places provides peace of mind for you and your family. Need a New Ignition Key? You’ve come to the right place. 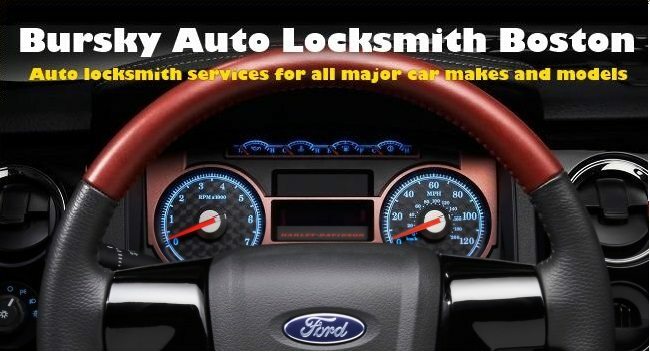 As the premier auto locksmith Boston, MA shop, we offer rapid service for ignition key duplication and replacement at a price that won’t shock you. If you’ve misplaced your ignition key, call us today. We will have you back on the road in no time at all.